Altairis Technology Partners – We make technology work for you. Altairis Technology Partners is an independent technology strategy, sourcing, and implementation firm, specializing in the most technically and operationally complex engagements. Altairis was established to offer a unique blend of technical and business talent, with broad experience in public safety and commercial wireless technologies. 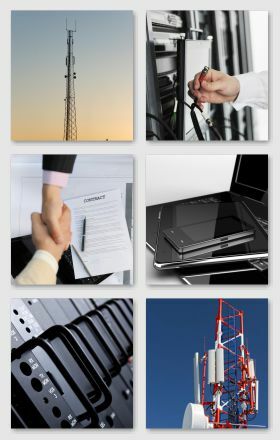 Altairis offers a wide range of communications technology and business consulting services to public safety, government, commercial wireless, and utility industry clients. Leveraging the strengths, experience and vision of our founders, Altairis focuses on providing professional, high-value, mission critical services that address complex network, technology and business challenges through the entire technology program lifecycle. Our philosophy is simple; we combine our business experience and technical expertise to address the needs of our clients to optimize their technology capabilities as well as their budgets. Our value proposition includes combining our strong technical capabilities with our deep experience in large transaction negotiation in order to offer our clients a unique ability to leverage both technical and business expertise in every transaction and on every engagement. We are able to apply these core competencies across the project life cycle - from assessment through procurement to implementation of technology services, and anything in between as the client may require.